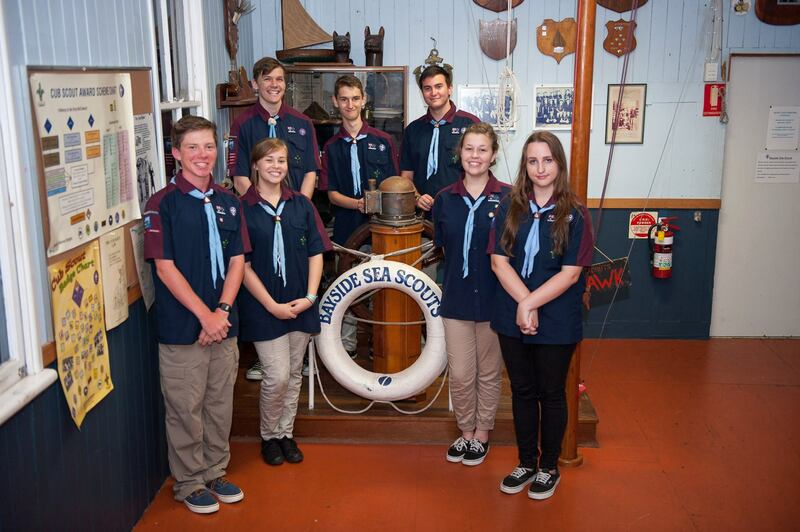 The Wynnum Manly area was home to a Sea Scout Troop around 1912, only a few years after Scouting was first introduced in Queensland. An article in the November 1951 edition of “Totem” refers to the ‘1st Bayside Rover Sea Scout Crew’, led by Rover Scout Leader “Skipper” Smith, who were in the process of forming a Sea Scout Troop. 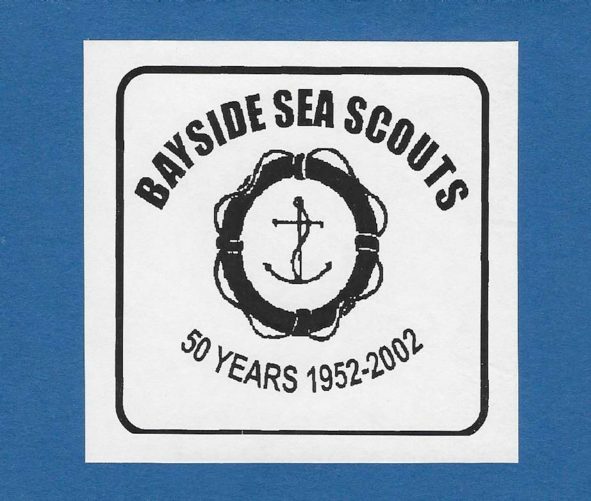 This was the start of the present Bayside Sea Scout Group. In 1952, about 12 Scouts were recorded as “foundation members” and the Group began to expand as boats and equipment became available. The first meeting place was at a boat slip shed near the Manly Jetty that we hear needed a good ‘clean out’ before every meeting. We also believe that one of the historic Esplanade cannons was used as a base for the Troop’s flag pole! The ‘Swampies” soon outgrew their temporary meeting place and when the Cub Pack was formed in 1957, the Group Committee commenced negotiations with the Brisbane City Council to lease the present site at Darling Point. In 1959, the original National Bank Building in Wynnum (circa 1900s) was purchased for 65 pounds and relocated to Darling Point. 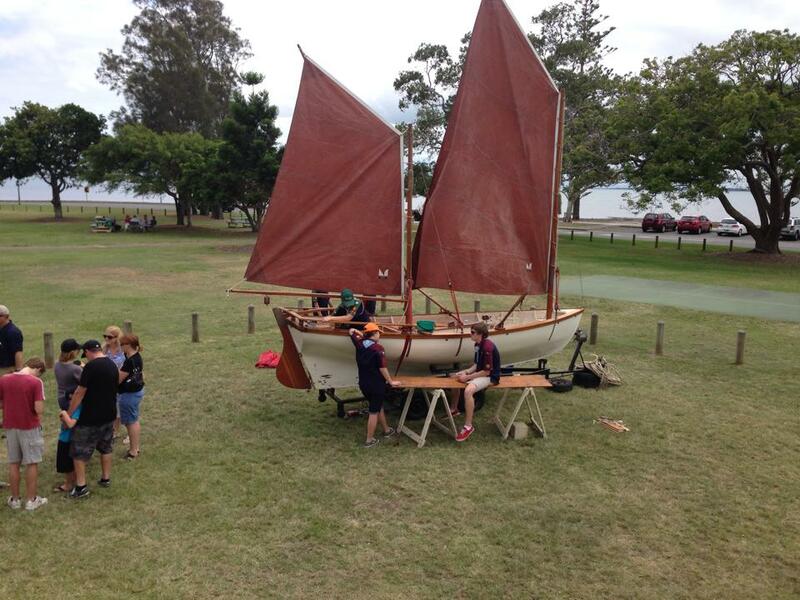 After a few alterations it started its new life as the first Bayside Sea Scout Landship. By 1966, the membership of the Group had increased to 102 boys and 13 “Scouters”, across 2 Cub Packs, 2 Scout Troops, and Senior Sea Scouts. The demands on the facilities prompted the Committee and the hard-working Ladies Auxiliary to obtain funds the following year to raise the ‘Landship’ and provide equipment storage and facilities underneath. ‘Bottle drives’, cake stalls, lamington drives and film nights were popular pastimes of Bayside Sea Scout families during this time. During these early years, Bayside Group prospered due to the enthusiasm, commitment and hard work of countless Leaders, Committee Members, Parents and Youth Members. We salute all who have passed through the doors of the “Landship” over the past 50 plus years. I first joined the Wynnum Scout Group as a Cub in the early 1950’s. I think the joining age was seven or eight. For some reason then my dad had me join the Sea Scouts when I was too old for the Cubs. Whether it was his idea or mine I do not know. The meetings were on a Friday night between 7 and 9pm and were held in a small hut on the shore front at the left hand side of the Manly baths next to the 64 pounder guns. Our scout Leader was Alan Evans who was the son of the District Commissioner. Because the shed was not secure everything for the parade had to be brought down each week. The flagpole was attached to the cannon. There were about 10 to 15 boys in the Group and I can still remember with pride when I became a Seconder and had my mother sew the stripe onto my shirt. We then had a Scout Leader appear on the scene by the name of Ray Melbourne and he had new staves made so that the patrol pennants could be carried when on parade. The patrols were Seagull and Kingfisher. I was in Kingfisher. At some time I was to be made up to a Sixer of Kingfisher patrol and that was to become a learning curve. For our weekend camps we went to Wainegunga which was an area off Mt Gravatt Capalaba Road next to Tingalpa Creek. My mother used to drive me and a couple of my friends to the area in a Fiat 500 station wagon. Tent poles had to be cut from the bush and I think some parents were there to put them up with us. All drinking water was brought in and food was kept in Eskies with ice. On those weekends we did parts for our badges and Saturday night there was always a sing-along around the bonfire. I still remember a novel way that one was lit in that a string was attached from the fire up into a tree and when the word was given the tin in the tree was lit and ran down the tree string into the bonfire which had been soaked in kero. Great fun! We all had to cook our own meals. Some were disasters but we knew we would be home on Sunday night. We got word that the National Bank of Australia was demolishing their bank building in Bay Terrace and that we were to be given the building but had to remove a part of it and take it to Darling Point. I think this was the late 1950’s. The troop was quite large at this time and the fathers removed the right hand side of the building and took it to Darling Point. I was in the Seniors at this time which was from 12 to 15 (?) years of age. My dad painted the Cub room with characters from the Jungle Book and Ray Melbourne made up metal signs for all the rooms. Ie: Cubs, Seniors, Galley and Rovers. Our Leader in Rovers was John Browns and he told me later that he did not think we would amount to much but with a lot of time and effort from him he produced four Queen Scouts. The Landship was only about a metre off the ground and had no sewerage outlet )there were earth closets at the back) so all water from the galley ran onto the ground. The Seniors dug a hole under the galley and put a pipe from the sink into the pit and it stayed there until the building was raised or when sewerage came through. One of the camps that we did was to Stradbroke Island where we stayed a week by ourselves from Monday to Friday. The Policeman on Stradbroke Island would keep an eye on us from time to time so we had a great time fishing for crabs and oysters. This area is now a caravan park. We went to the island on Hayles tourist boats. On the return trip sometimes the Policeman who was also the Scout master would give us a dingy that had been washed up onto the island. We used to moor them off the Manly jetty. I once rowed one from the Manly jetty to Green Island and back. We did camps at Colledges Crossing near Ipswich during Easter and also to Moreton Island being taken over in an old fishing boat which took four hours. Whilst in the Seniors during Easter there was an Easter Venture were all Senior Scouts in the Brisbane area did a three day hike in an area. Ie: Nerang, Ipswich etc, another learning curve. I tool a lot of 8mm movies on these hikes. I do not think the Scouts could do this today. We had a Cub Section and Arkila was Mrs John Browne so the Seniors were given tasks in looking after the Cubs when they went on walks on Saturday afternoon, which was when they met at the Landship. The Group was given a lifeboat which we used to take out around Manly boat harbor both day and night, with no lights, being rowed by young boys having the time of their lives. We had a 16’ skiff which we also used and the Rovers Group had an old Brisbane City Council ferry which they used to go away for weekends on. I think the highlight of my Scouting career was when myself, Ray Melbourne, Steve Martin and Gary Hillier were presented with our Queen Scout badges at Parliament House by the Governor of Queensland Sir Henry Able Smith.. There are a lot of things I have not been able to put down on paper but these are the things I remember to date. I went up to Rovers for a short while but by that time most of the Rovers had left and I had joined the Citizen Military Forces in 1962which, when I look back was an extension of the Scouting movement.